PowerPoint is a slide show presentation program that was developed by Microsoft. It is an exceptionally invaluable tool to use when presiding over meetings or attending to client appointments where visual aid is required to optimize the presentation. In this day and age of the Internet and proliferation of social media, what has become apparent is that people respond more effectively to visual imagery than text. Online marketers have cited specific studies that prove the use of images result in greater patronage and encourage engagement better than written content. This is because the attention span of an individual is less than a minute. Most people do not have the patience to read through text. Create a virtual slide show using text, images, shapes and videos. Sound clips can be inserted during presentation. 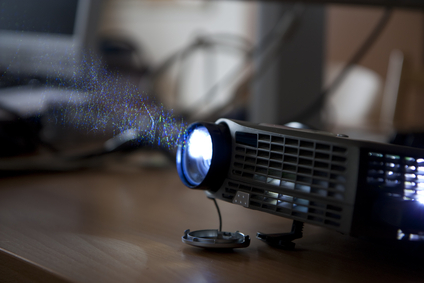 Slides can be printed out for distribution or projector transparencies. Content can be uploaded and shared on other online media. In business, the first step in trying to acquire a client for your portfolio is landing that all-important meeting or appointment. Oftentimes, especially if the client is exceptionally busy, the appointment may be your singular chance to capture his or her interest for your business. You have to make sure you will be able to capitalize on this opportunity by covering all the bases for an excellent presentation. Clients do not have much time to allocate for business proposals because they have a multitude of matters to attend to. For the most part, you may be granted only 15 to 20 minutes to present your pitch. With such a limited time frame, you have to condense your presentation such that you cover all of the relevant content and pertinent features of your product and service. If you just sit and expect to sell your pitch without any visual aid, your pitch may not get past first base. A client will appreciate that you have embraced the advantages of technology to design a virtual presentation. It will reflect that your business remains current and updated on the changing business environment. PowerPoint can make the most technical presentations vibrant and exciting through the use of images, shapes and vibrant colors. It is definitely more encouraging to understand multi-colored charts than just to hear a presenter run off a series of facts and figures. The use of colors has been proven to be effective in eliciting a desired reaction from a target market or audience. When using PowerPoint, you can use the slide function to change images with the click of a mouse or tap of a key pad. If your presentation requires continuous display of images, PowerPoint has the option to keep slides changing with customizable features at that. You can make the slide fade to the next slide or transition using different settings. -Because of PowerPoint’s ability to customize the look and features of a slide, you can easily condense salient points of your pitch without losing the desired effect. There are business forums where each presenter is given only five minutes to make a pitch and they are able to present successfully with the use of PowerPoint. But as easy as PowerPoint is to use, it takes time to create slides. The best and most effective slides were designed by people with the experience and competency level to expertly use all of the features of PowerPoint. While the program is simple to learn and easy to use, you need to put in the required hours to become proficient in using PowerPoint. At Outsource Workers, we have Virtual Assistants who have the necessary skills and experience to conceptualize PowerPoint presentations that are relevant and effective for your business. If you are interested in having your PowerPoint presentation prepared, drop us an e-mail or give us a call and we will discuss the process with you. Are you ready to hire your virtual assistant? Let us find the right virtual assistant for you and take care of your time-consuming tasks so you can focus on the important things. Call us today on 1300 727 147 to get started. What Is The Best Email Format To Get Better Conversions?